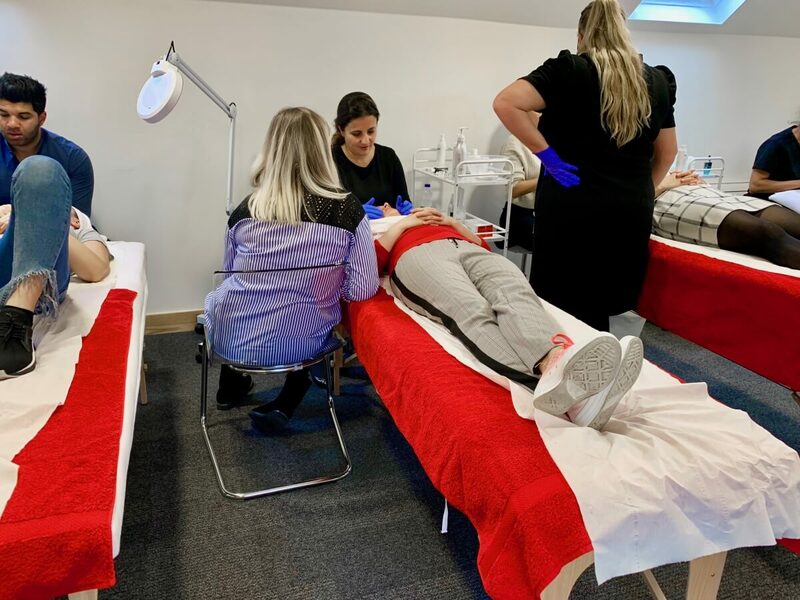 Our expert chemical skin peel training course gives you the skills and knowledge you need to be able to immediately implement this treatment into your practice. This comprehensive and in-depth course is completed in half a day, at the end of which you will be able to immediately acquire the insurance you need to safely administer this treatment. We offer ongoing support to all of our clients after the training is completed, with our team of experts. Skin peels are also known as chemical peels. Skin peels primarily work by exfoliating the skin and removing dead skin cells. Many different types of acid are used in this treatment. Most skin peels today are superficial in nature and therefore now skin peeling is actually observed. Level 3 in beauty therapy, semi-permanent make up artist, nurse, dentist, doctor, pharmacist. If your qualification does not appear, please do contact us, but your qualificiation does need to be within the health and beauty sector. This is an intense 3-hour course. Also, we encourage you to have a treatment on the day, at no extra cost. We will give you a training manual and a certificate | Starter kits to purchase. We work with the epiderma5 range. You will be given a training manual and a certificate | Starter kits to purchase. 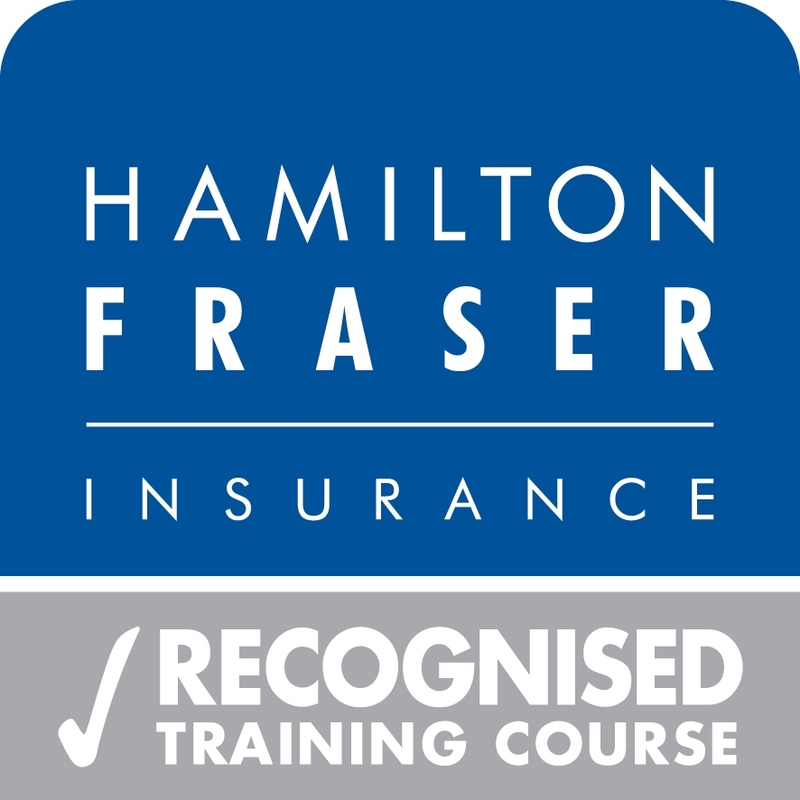 We work closely with providers Towergate & Hamilton Fraser. 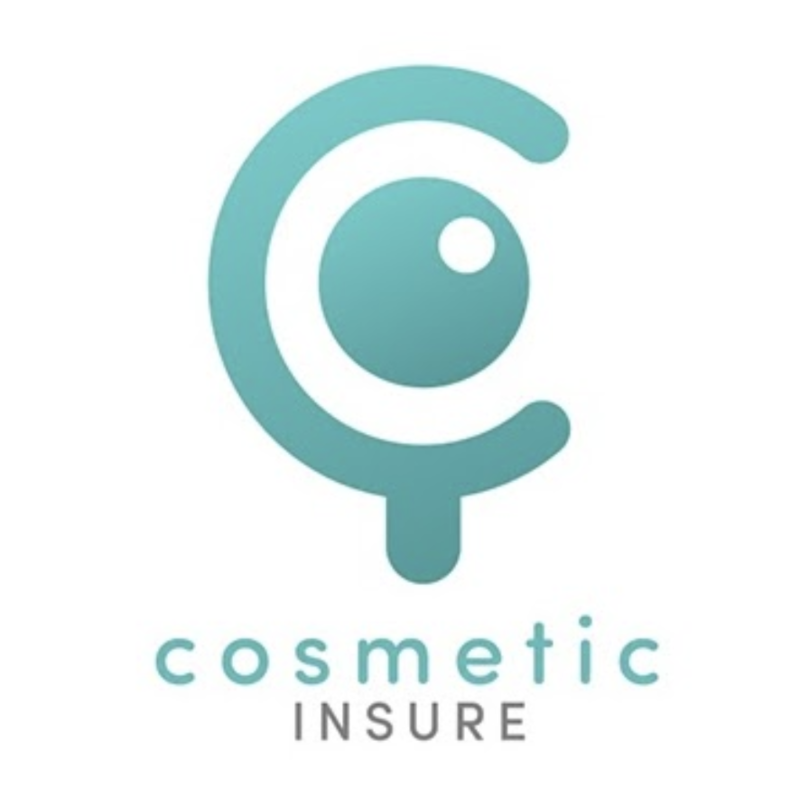 Also, many other providers such as BABTAC, Holistic Health & Cosmetic Insure will offer cover on completion of this course. Finally, we are an independent training company with expert, knowledgeable educators. If for any reason you feel you the need to return for further training we are more than happy to facilitate this within 3 months original training. We have a fully manned office and are at the end of a phone line, email or Facebook Messenger and will endeavour to respond to any queries immediately or within the hour (during office hours of 9.00-5.30). EC Training work with Epiderma5 skin peel range which can be found here. Also, we will discuss other skin peels and brands. However, epiderma5 have just launched AHA 70, a 70% glycolic acid peel, for medical practitioners only. The course is generic in nature with a product focus on epiderma5 40% glycolic peel. A thorough revision of skin and its functions will leave you with the knowledge to underpin this treatment and able to succinctly explain the benefits to your clients. First of all, glycolic acid is an Alpha Hydroxy Acid derived from sugar cane. With a very small molecule size, it is able to penetrate through to the upper layers of the epidermis. 40% Glycolic Acid peel with a sensible pH is gentle enough not to induce unwanted peeling and irritation but powerful enough to deliver superb results. Therefore, maintaining a healthy, intact Stratum Corneum is essential. Above all, “burning” does not necessarily lead to positive results. The glycolic peel demonstrated during training is from the epiderma5 range. What results can clients expect from skin peels? Why add skin peels to your business? New business – Adding a wider range of treatments and products enables you to capture new business or upsell to existing customers. – Ideal for new clients that are wary of using needling treatments. Repeat business – Skin peels can be sold to clients as a course of treatments, which enables you to create easy, repeat business. Expand what skin conditions you can treat – Skin peels are a fantastic way of treating acne, wrinkles and pigmentation. Attract New Clients – This a highly popular and in demand treatment. For example, ‘chemical peels near me’ yields up to 10k Google searches per month UK wide which illustrates that people are talking about it! Quick and East Procedure – The treatment only takes around 30 minutes, meaning you can turn around a higher amount of clients. High Profit Margins – With skin peels you have fanastic profit margins, we can recommend pricing for your procedure on the day. Our skin peel courses are incredibly competitively priced. We have the incredibly experienced and knowledgable trainers and ensure that they are not only experienced but also keep up to date with the latest innovations in advanced skin care. 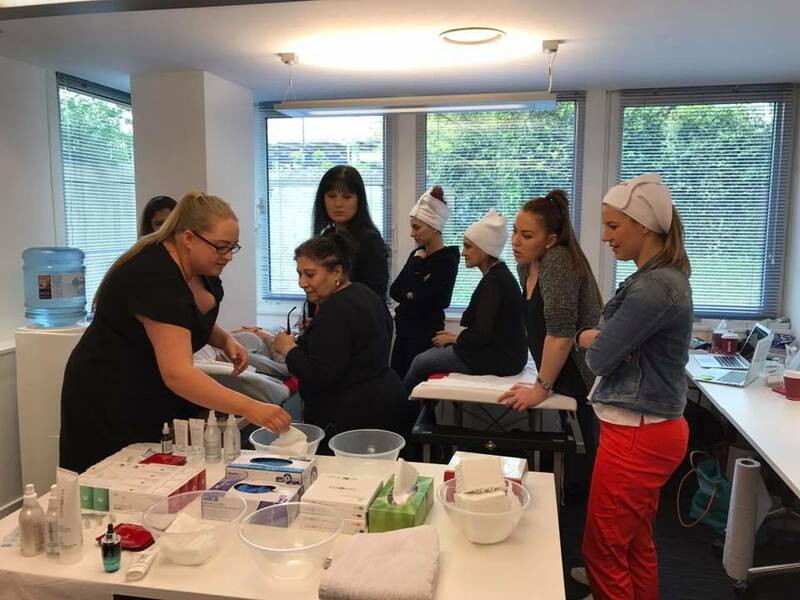 We are partnered with product distribution company, Skin Health Solutions, enabling you to get a seamless service from training through to use of products. Our in house team provide expert advice after your training is complete. 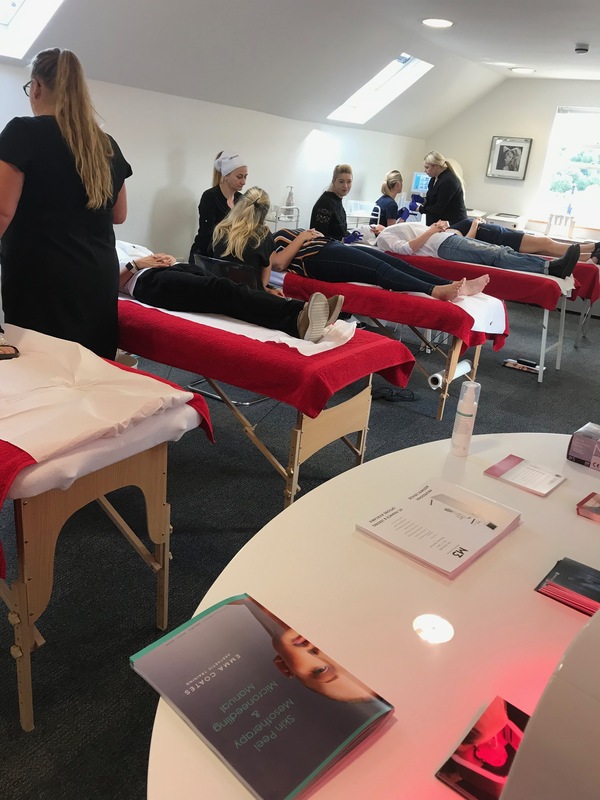 We regularly put on free product training days with Skin Health Solutions enabling you to keep up to date with the latest products in the market. It’s also an opportunity to have any questions you may have about your treatments answered. We also provide a one day intensive course which comprises – Mesotherapy, Microneedling and, of course, Glycolic Chemical Peel training.